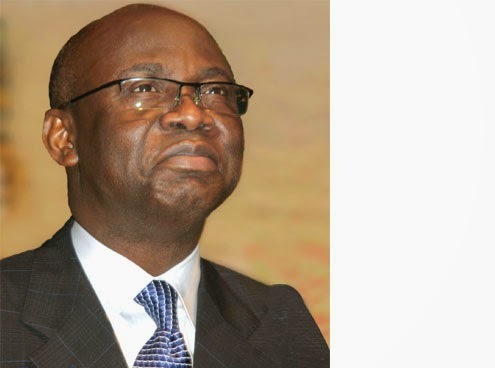 The Serving Overseer of the Latter Rain Assembly, Pastor Tunde Bakare, has said a majority of those that constitute the power blocs in the country are in support of All Progressives Congress pres‎idential candidate, Muhammad Buhari. He said this while speaking on the theme, ‘Nigeria beyond 2015′, at a public lecture organised by Angola Hall of Obafemi Awolowo University, Osun State, on Wednesday. According to him, power blocs in any country influence and determine winners during elections. The Nigerian power blocs, he said, were peoples vote, council of state, clerics, governors, traditional rulers, top entrepreneurs and retired generals. entrenched power blocs determine electoral victory more than anything. There are six or seven political blocs entrenched in Nigeria. The incumbent president and former head of states – council of state. From the council of states, we have two candidates – one former head of state and one incumbent president. There are six others that I want you to consider on whose side they are. “Traditional rulers, retired generals, who have tasted power, who can you say clearly is the person they are supporting? The governors and let us consider the corporate boys, who are the men of commerce. Where is Aliko Dangote, Otedola,Tony Elumelu and others? “Look at those who control the large constituents of people on Sunday. Tell me who is Pastor Adeboye, Oyedepo, Oritsejafor backing? Those who influence voting are doing so behind the scene and when the results come, we say ‘they have cheated us’. If Buhari emerges victorious, the pastor noted that 100 days would be too much to hand over power to the APC candidate. He said, “If we don’t run it (Nigeria) properly, we will be running into a major storm that can consume us. The February 2015 election further provides the incubator for the hatching of the dreaded scenarios.